There are few tutorials available on the internet that can help you to clean up your MAC, but those things require hell lots of time. So, we have decided to share an easy way to clean all junk and cache files stored on your MAC. Here we have discussed TunesBro CleanGeeker which is the world’s no.1 Mac cleaner software available on the Marketplace. 1.1 What is TunesBro CleanGeeker? 1.2 Why Is TunesBro CleanGeeker Best Amongst All? 1.3 How To Use TunesBro CleanGeeker? Just like Windows computer, MAC also slows down over the time, and Junk files are often the chief reason behind this. Well, there are few tutorials available on the internet that can help you to clean up your MAC, but those things require hell lots of time. If you choose to clear all junk files manually, then you need to go through tons of files and folders which again consumes lots of time. Few reports claim that on average, most of the MAC users have around 60 GB of junk files stored which slows down the entire computer. So, to clean up all those junk files, we are going to share with you one of the best tools which can scan almost all junk and cache files stored on your MAC. 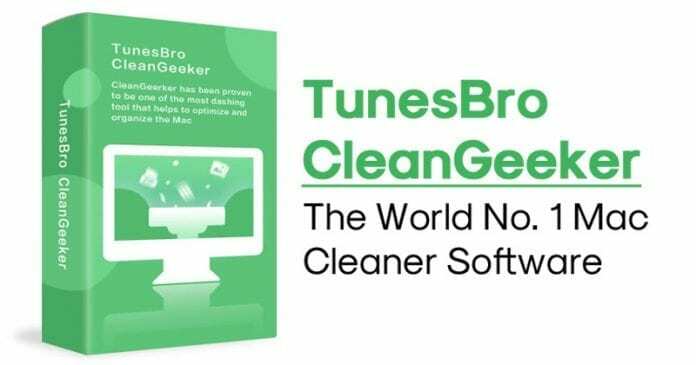 The tool which we will be discussing below is known as TunesBro CleanGeeker and its the world’s no.1 Mac cleaner software available on the Marketplace. TunesBro CleanGeeker is basically a MAC cleaner software which comes with lots of interesting features. Guess what? The tool can scan and remove tons of clutter junk and cache files that lurk in the system. Apart from that, TunesBro CleanGeeker also offers an Add-ons & Extension Manager which helps users to manage browser add-ons and extensions at ease. The software also helps to protect the privacy of your browsing habits. For instance, as we browse on the internet, we leave behind some footprints in the form of cache, cookies, history, passwords, etc. So, TunesBro CleanGeeker also got the ability to clean all those files. Apart from all of that, TunesBro CleanGeeker also offers a Duplicate file checker which effectively scans and removes duplicate files stored on your MAC. Duplicate file checker also checks for duplicate apps, music files, videos, photos, documents and other types of data. Why Is TunesBro CleanGeeker Best Amongst All? TunesBro CleanGeeker uses the latest secure technology to scan and delete duplicate files from MAC. Apart from that, the junk cleaning abilities of TunesBro CleanGeeker is superior compared to all other similar types of tool. Another thing that makes TunesBro CleanGeeker stand out from the crowd is its system monitoring tools. With TunesBro CleanGeeker, you can get real-time status of CPU usage, memory usage, battery state, etc. CleanGeeker also offers a PC Startup Master that gives users more control over Windows Start Up apps. If you use this feature efficiently, you can speed up your system startup speed. How To Use TunesBro CleanGeeker? TunesBro CleanGeeker is extremely easy to use, and users just need to follow three simple steps to clean all unwanted and junk files from MAC. The MAC Cleaner Software automatically scans and delete junk files. That’s it, you are done! This is how you can use TunesBro CleanGeeker on your MAC to clean out all junk and unwanted files. If you have any other doubts, then make sure to discuss with us in the comments. 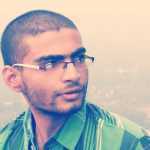 So, that’s all about TunesBro CleanGeeker and its features. Without any doubt, its the best Mac Cleaning software that you can use today. Hope this article helped you and make sure to share this with your friends and relatives.